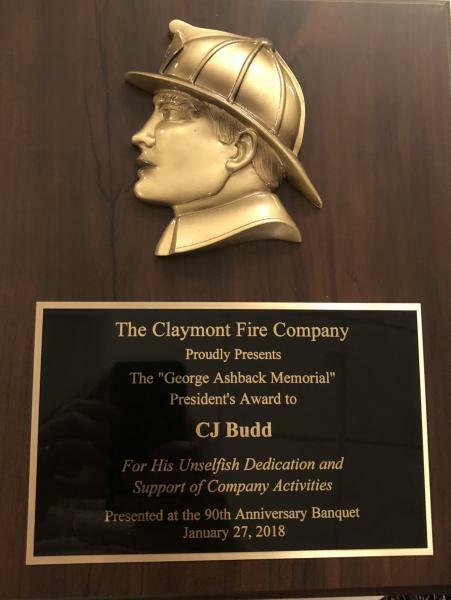 1st Assistant Chief Christopher "CJ" Budd, who is also the Owner of Budd's Landscaping in Claymont, Delaware was presented with The"George Ashback Memorial" President's Award during Claymont Fire Company's 90th Anniversary Banquet this evening. 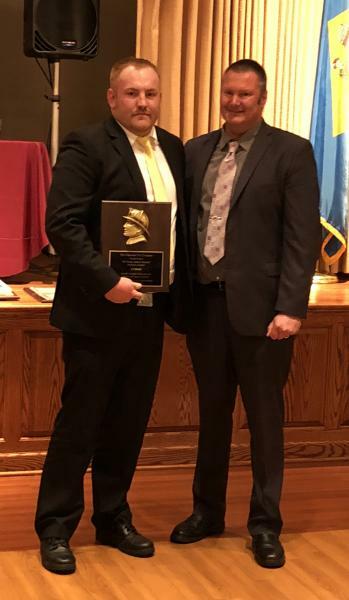 Claymont Fire Company President, Thomas DiCristofaro presented this prestigious award to Assistant Chief Budd for his selfless act of kindness by providing free lawn care services to Claymont Firefighter Brad Scott who was diagnosed with colon/rectal cancer last Spring. On behalf of the Officers and Members of Brandywine Hundred Fire Company we congratulate and commend Assistant Chief Budd for volunteering his time and services to Brad Scott and his family during their time of need.